Mia Tui Minnie Amelie Bag Review - What's In My Cabin Bag? 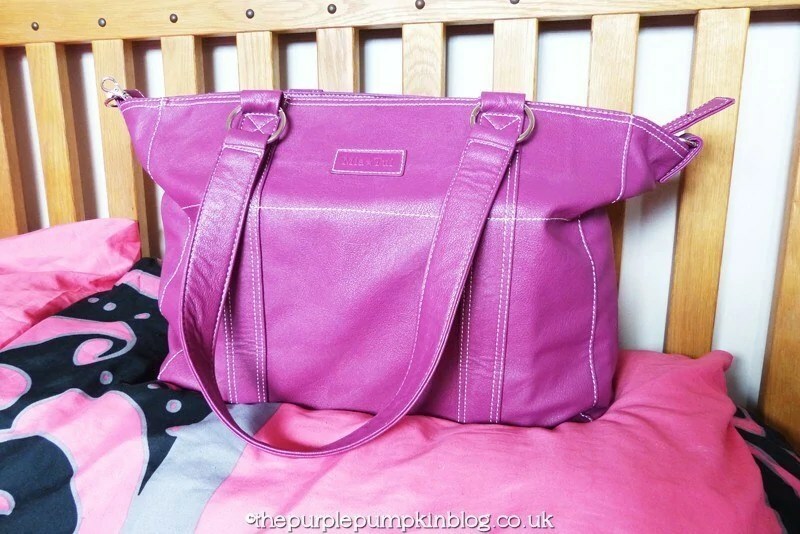 Mia Tui Minnie Amelie Bag Review – What’s In My Cabin Bag? I’m always looking for the perfect handbag – I don’t use one too often, mainly because I don’t really go anywhere other than a quick nip to the shops, and then, I just grab my bank card, phone and keys and just hold them…but there are quite a few times over the past few months when I could have done with a decent bag to hold all of my stuff. I’d read about Mia Tui bags, and just one look at the various bags available, I knew that they would be perfect for everything I needed a handbag to do! I was asked if I’d like to review the Minnie Amelie bag, and with our upcoming holiday knew that it was the ideal time to road test the bag and put it through its paces! The Minnie Amelie is an award winning bad and is perfect as a travel bag, work bag or as a stylish baby changing bag. The dimensions are 39cm x 32cm, and it can fit loooads of stuff in, as I’m going to prove to you shortly! This bag is an organisers dream! It feels sturdy, but stylish, comes in a fab range of colours. Of course I picked purple! And is waterproof on the inside so if you spill something in one of the sections it won’t ruin everything else in your bag. So, here I am at a Heathrow hotel as our flight is early in the morning and I have used my bag as an overnight bag, then switching it up as my cabin bag. So, what does this traveller need to take with her? Here’s the list! With all of the handy compartments all my items went in without any trouble. I made use of the clear bag to put my liquids in for airport security, and I’ve used the clutch bag to hold things like my mirror, eye mask etc so I can grab that out of my bag easily on the flight. Even with all my stuff in, the zip did up no problems and a lot of the items inside will be offloaded into our suitcases as not needed after our night in the hotel. The bag sits nicely on my shoulder, and I really have fallen in love with the Minnie Amelie bag at first use! Highly recommended if you need a multi-use handbag. I’ve been looking at these after seeing Mary Proctor’s one. It’s just knowing whether to go for the smaller or larger size…I know the bigger the bag, the more I cram in!